It is the late summer of 1938, Europe is about to explode, the Hollywood film star Fredric Stahl is on his way to Paris to make a movie for Paramount France. The Nazis know he's coming -- a secret bureau within the Reich Foreign Ministry has for years been waging political warfare against France, using bribery, intimidation, and corrupt newspapers to weaken French morale and degrade France's will to defend herself. But always at the center of the novel is the city of Paris, the heart and soul of Europe -- its alleys and bistros, hotels grand and anonymous, and the Parisians, living every night as though it was their last. 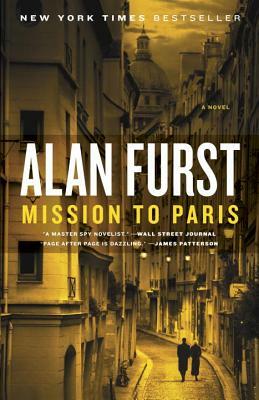 As always, Alan Furst brings to life both a dark time in history and the passion of the human hearts that fought to survive it.